Police arrest three suspects from near Druze village Majdal Shams after finding high-level counterfeit operation. Police arrested three fraud suspects near the Druze village of Majdal Shams in the North on Wednesday, after uncovering a large-scale forgery operation counterfeiting passports and ID cards. 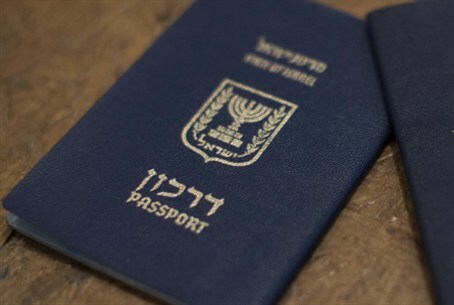 The suspects, villagers from Majdal Shams and Beit Zarzir, started a business stealing the identities of innocent civilians and using them to forge IDs, passports, bank accounts, and checks, according to police. Northern District Police officials investigated fraud reports for several weeks before making the arrests; the fraudulent documents - and the money the fraudsters gained by using them - reportedly is worth over a million shekels (over about $287,000). The fraudsters allegedly posed as wounded workers seeking insurance compensation, then cashed the checks at money changing offices around the country using fake ID. The operation was extensive, the investigation revealed, and included a special laboratory for producing high-quality forgeries with sophisticated counterfeiting equipment. The suspects were arrested two weeks ago, police said, and were brought to court Wednesday morning. Dozens of suspects were also interrogated during the investigation, but subsequently released, they said.